Gravel riding has become incredibly popular in recent years. A gravel bike allows you to ride on the road and keep riding when the pavement ends and the dirt begins. 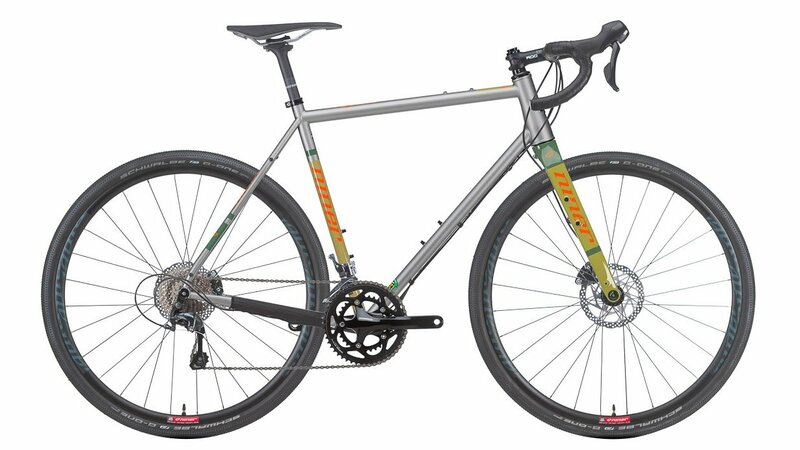 For those who prefer the road less traveled, there is the Niner RLT 9 Steel. The RLT 9 Steel is the multi-tool of the bike world. You're able to ride dirt trails, gravel trails, or asphalt. It features a Reynolds 853 steel frame that is lightweight and incredibly durable, a PF30 bottom bracket shell, front and rear fender mounts, and a rear rack mount so you can carry extra gear for longer rides. The RLT 9 Steel uses thru-axles on the front and rear so you'll have stiff and predictable steering and handling on and off-road. It also has two water bottle mounts on the inside of the frame triangle of every frame size, even the smaller frames. The RLT 9 Steel 2-Star Bike comes with Shimano Tiagra 2x10 components for the brakes and drivetrain. It features Shimano Tiagra front and rear shifters with Tiagra front and rear derailleurs. This is paired with a Shimano HG500 11-34 tooth cassette and a Tiagra crankset with 50/34 tooth gearing. This provides enough gearing for just about all terrains. When you're coming down the hills, the Tiagra hydraulic disc brakes will provide the stopping power for confident descending. It also features Niner CX Alloy wheels and Schwalbe G-One Performance tires. 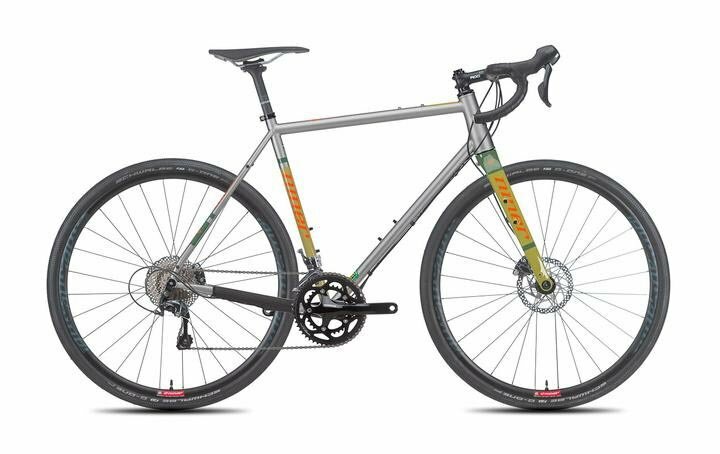 If you're looking for a gravel bike to take you places you've never been, this will be your go-to bike for every ride.